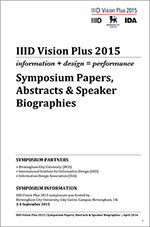 In September 2015, IIID partnered with Birmingham City University and the Information Design Association to organize the 16th international interdisciplinary symposium at the universities new Parkside Building in Birmingham, UK. The Symposium explored a wide variety of relevant and topical issues ranging from information at the beginning of the digital age, healthcare, inclusion, big data visualization, to wayfinding and many other fascinating ideas relating to information, design and performance. The event was a great success, with speakers and delegates from around the world sharing ideas across two days at the City Centre Campus, Birmingham City University. The aim of IIID has always been to promote and expand information design knowledge and research. In 2011, the International Institute for Information Design celebrated its 25th anniversary. 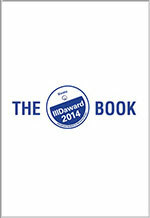 It was time for us to acknowledge the best in what information design has to offer by introducing the IIID Awards. The competition is held every three years. Enjoy browsing the many excellent examples in the Award Book 2014! The graphic language of Isotype with its simple repeated symbols has largely become just one element in the designer’s toolbox – as Otto Neurath predicted in International Picture Language in 1936 ‘dependent on their times like all the old sign languages’. This conference in the Vision Plus series investigated the role of the „transformer“ and its understanding among designers practicing today. 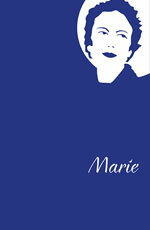 The event was named in reference to Marie Neurath. The Mobile Plus conference addressed technology and information design challenges for bringing relevant content via mobile phone to people who would otherwise have no access to such information. The event was organised by IIID in cooperation with the M S Swaminathan Research Foundation and the Industrial Design Centre of the Indian Institute of Technology Bombay. Enhancing social, economic and environmental progress. Jointly organised by IIID and the OECD Statistics Directorate. Over 50 speakers from 20 countries investigated selection, visualisation, interpretation and communication of data. Author: Rune Pettersson, Ph.D., Retired Professor of Information Design, Maelardalen University, Eskilstuna, Sweden. IIID has organized Summer Academies in Austria, Italy, Japan, the USA, and on the Cape Verde Islands. 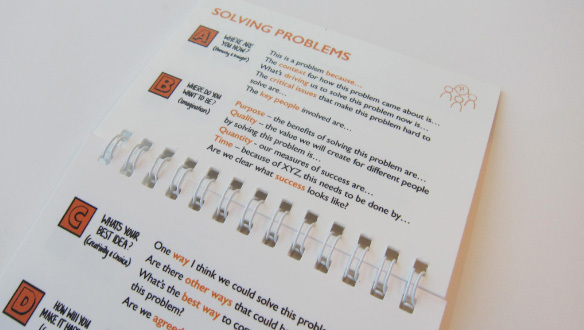 They involved students in real life projects, encouraged them to effectively work in teams and enabled them to experience multicultural challenges.